Searching for office and warehousing space with flexible terms and excellent value for money? Look no further as we are sure that we have what you are looking for. All offices can be furnished and ready to move in. The subject property comprises a large industrial building in three main sections: A front office building constructed over ground and two upper floors, a warehouse to the rear and side (front right) on ground and mezzanine floors and a section to the rear (front left) of offices - part of which have been converted from one of the warehouse bays. There are front and rear yards, as well as secured parking. This is an ideal location for any business that wants an office and warehousing building with an excellent facility. 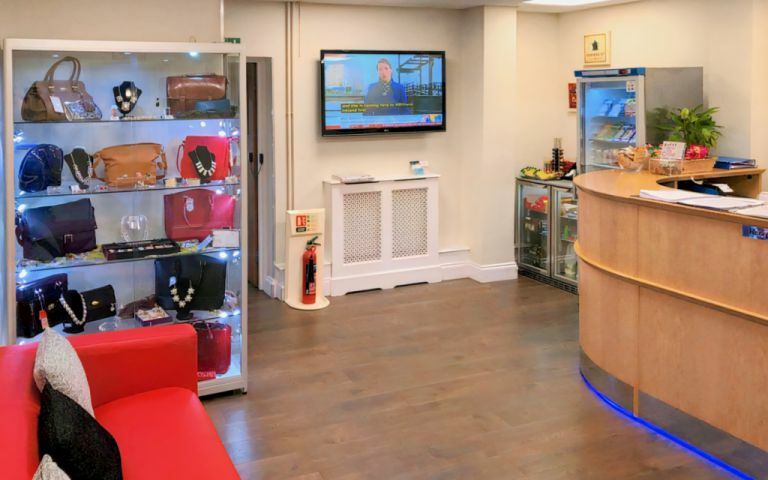 We are located approximately one mile south of Wimbledon Town Centre. South Wimbledon (Northern Line) London Underground station lies close by and Merton mainline station is within easy reach. A modern tramway now links close to the estate running to Croydon Town Centre. Easy Offices Where is the nearest coffee shop to Deer Park Road? Easy Offices Where is the nearest place to get lunch near Deer Park Road? Easy Offices Where is the nearest car park to Deer Park Road? Easy Offices Where is the nearest public gym to Deer Park Road?